Carolyn joined Ross & Company in 2015, and brings more than 20 years of executive search and related experience. 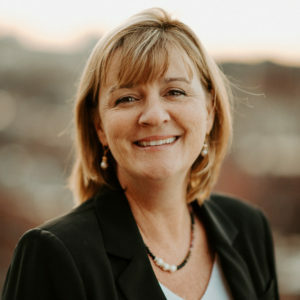 Currently, she contributes to all aspects of the search process including: strategy, research and candidate development for C-level (CEO, CFO, COO, and CTO), Board of Director, and functional VP-level searches in the healthcare services, healthcare information, medical device, digital media, and technology services business for venture capital backed and large public companies. In 1996, she established an independent research and consulting firm through which she has served executive search industry leaders including: Heidrick & Struggles, Spencer Stuart, CTPartners, Korn Ferry, and Ray & Berndtson. Her search work has spanned the U.S. and Caribbean, Canada, the UK, South America, and the Middle East. Carolyn began her career in human resources with Canadian Pacific and eventually left to join several different boutique executive search firms conducting research and candidate development for CIO, CEO, CFO and CTO roles across North America. Carolyn resides in Ontario, Canada and previously lived and worked in Bermuda and The Bahamas. She is married and has two sons. Carolyn has a B.A. degree in Psychology and Sociology from Queen’s University in Kingston, Ontario.